Hurrah, this was the last week before spring break and it was an exciting week of targeting a variety of skills before having some time off. First, we did a fun pizza activity with my wooden pizza kit (was a gift, but can be found here) and read the book The Pizza That We Made. We targeted sequencing, actions (cutting, plating, cooking, eating, and sharing), turn-taking, requesting, and labeling in this very enjoyable activity. Success! If I were to go back and re-do this activity, I would really make sure that the students had more of a hands-on approach to the visuals. I always try to do a clinical self-reflection after new therapy activities that I've not tried before and when we did this play-based therapy approach, I was too much of a "coordinator," handling the pizza cutter and doling out slices... when I should have modeled the actions first and allowed a student to take over and see if they could do it themselves! Next time, definitely will offer more of the actions to my students to practice on their own. We also addressed cause/effect and emotions this week. I have one student who works on identifying how he is feeling and why, so we used these fun sentence strips that I made that target "I feel ______." Eventually, I want the ability to work on stating: "I feel _____ because _______." such as in the following example, "I feel angry because I have to work." 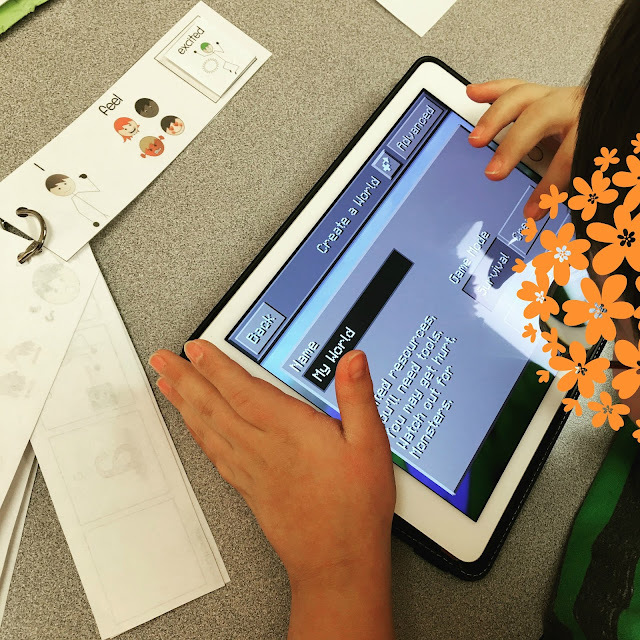 This day, my student felt excited to play MineCraft on the iPad after he completed his work. 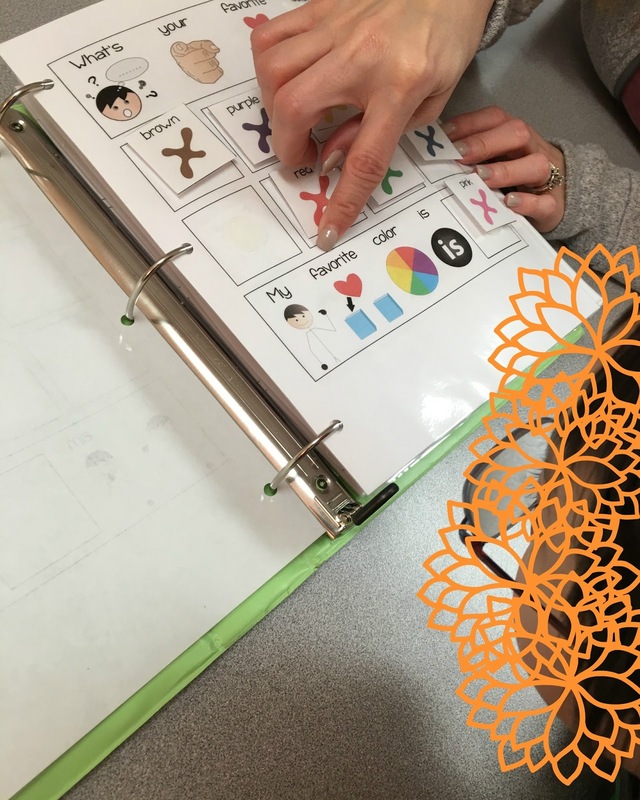 Other students worked on choosing their favorite colors, animals, foods, and other various items/objects in this AAC basic binder by ____. I am in love with these visuals! This is a great tool to introduce to students who are needed a visual boost or a primer in AAC low-tech options. We also targeted green things in this great interactive vocabulary book by Speech Room News in order to get ready for St. Patrick's Day. Speaking of St. Patrick's Day, we did a blarney stone hunt with our special forces students! The teacher approached me earlier in the week and told me of her fun idea, to hide "blarney stones" around our common area like Easter eggs (I found a whole bag of smooth, large stones at my local home improvement store in the gardening section and painted them various colors), allowing students to find them and target prepositional locations such as: inside, below, above, next to, on top of, underneath, in front of, and behind (to name a few). We also put clues on the bottom of each stone that helped students locate the "hidden pot of treasure" that we placed in the cafeteria. Clues included the following: "This is a BIG room!" and "Students eat in here," and "There are many tables and chairs." Follow the glittery shamrock confetti! Our students were so excited to see the "end of the rainbow" and really enjoyed the treasure pot. 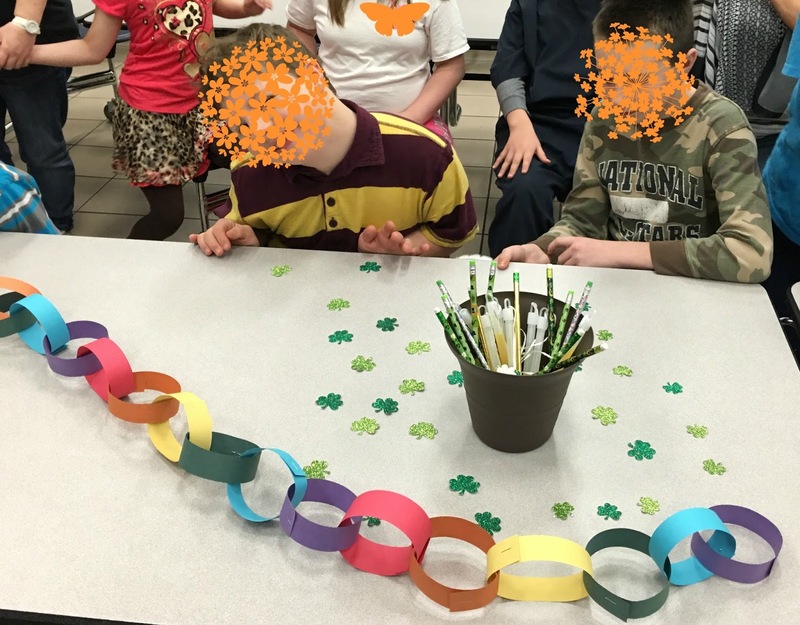 Each student had the opportunity to choose a few treats from the treasure (including some glow sticks, temporary tattoos, stickers, pencils, and other various St. Patrick's Day themed goodies). 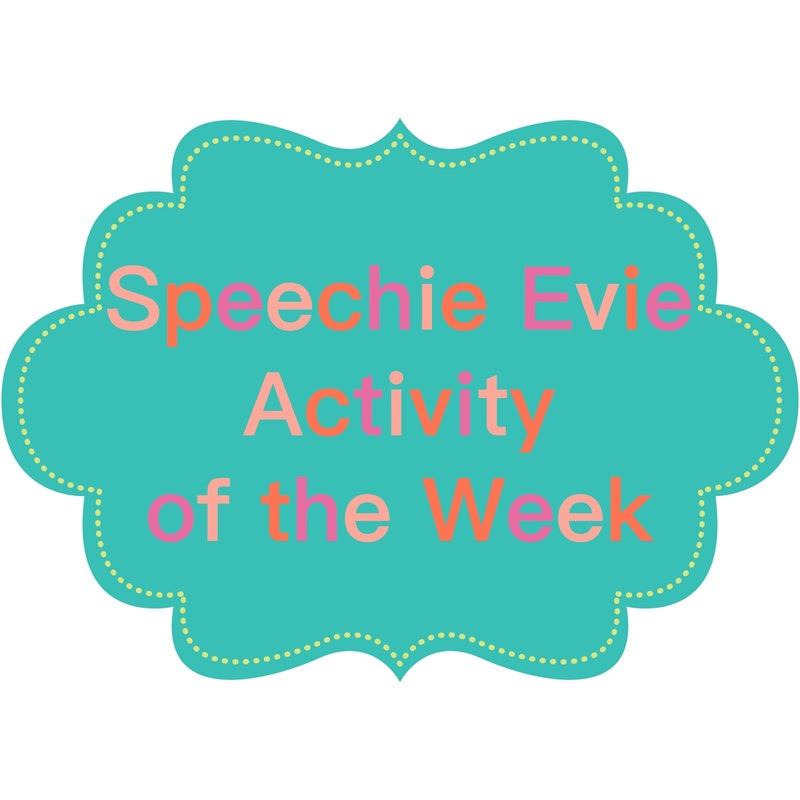 They loved it and we all had a great time with this activity!